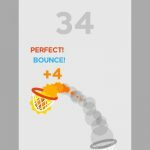 Hoop Smash is Kwalee’s latest arcade game for Android and iOS devices. The goal of the game is to simply go through an infinite number of levels while gaining the highest possible score. 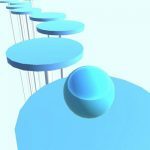 Each level is composed of several discs that are spinning around a pole. A ball is bouncing at the top of these discs, and it is your job to smash through to the bottom of the stack. Once you reach the bottom, you can move on to the next level. The controls are fairly simple as well. You just need to tap every time you want the ball to smash through a disc. You have to aim for the weak points, though. If you miss the weak point, the ball will get smashed instead. There are hundreds of levels to go through, each one more difficult than the last. How many can you overcome? Well, be sure to check out our Hoop Smash cheats, tips and tricks in order to get those top scores! When you play Hoop Smash for the first time, you will be instructed to aim for the yellow section. This is the weak point. Hitting it with the ball will smash the entire disc and allow you to move on to the one below it. What the game does not tell you, however, is that the weak point will not always be yellow. In fact, you will see plenty of levels that do not have yellow in them at all. What should you aim for, then? The weak point will always be the same color as the top disc. Just follow the top disc’s color and you will never go wrong. After a few levels, you will realize that the discs actually move at different rates, and in different directions. This makes it a little difficult to predict the movement of the weak points. Sometimes, however, the weak points line up. When this happens, make sure you take advantage of it by tapping as soon as the ball is on top of the lined up weak points. Doing so will make the ball smash through all of them at once. This is considered a combo and it will give you a lot of bonus points depending on the number of discs you were able to destroy at once. 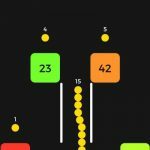 Try to create as many combos as you can in order to drive up your scores. You are probably wondering how you can get more combos if the discs were moving differently. All you have to do is observe. Even though the discs are moving independently, their movement are consistent. That means if you see them line up once, they will eventually line up again. You just need to wait for it. The good news is that there is no time limit for making a move. You are free to wait for as long as you need in order to find the right combo opportunity. Of course, there is always a possibility that the weak points won’t line up at all. It is just a matter of observing long enough to know if there will be an opportunity or not. Take your time, but if it has taken too long for them to line up, you might as well move on. A common mistake that new players make when playing Hoop Smash is thinking that they need to time their taps with the bouncing of the ball. The ball bounces at a steady rate and it makes you think that you need to wait for it to bounce properly before making it smash through. As a result, you end up missing the weak point over and over. Don’t watch the bounce of the ball and instead just focus on when it lines up with the weak point. It doesn’t matter if the ball is rising or falling because it will crash downwards as soon as you tap on the screen. This is especially useful for fast-moving discs since they never sync up with the bounce of the ball. One of the reasons you should take advantage of combo opportunities whenever you can is that there is no going back to previous levels. Once you have passed a level, you will no longer be able to replay that level. Combos are easier to pull off in earlier stages since discs are generally slower then. Even if you end your run, you will start at the level where you died instead of going back to level 1. That means it will become increasingly difficult for you to pull off combos as you progress further into the game. Don’t you just hate it when you put in all that effort to get through to the final two or three discs only to end up dying? The good news is that the game offers a way to continue where you left off. As soon as your run ends, you will be given the option to watch a video advertisement. Agreeing to do so will play a video. Once the ad ends, you will be able to continue you run and finish the level. Just keep in mind that you will only receive this offer once per run. If you fail again, you will no longer be allowed to continue. While there is no limit to the number times you can accept the offer to revive, make sure you only do so if you are already 75% done with the level, or if you have passed all the fast discs and don’t feel confident in your ability to repeat that feat. Otherwise, you will just be wasting your time on watching the video when it would be faster to just start over. The pop-up ads in the game can get really annoying after a while. They come up practically after every level. Sometimes you even get two ads in a row. While you can easily tap on the X button at the top of each ad, it does not appear until after a few seconds have passed. The pop-up ads never interrupt your actual games, but when you are excited to move on or retry a level, it can be frustrated. You can remove the pop-up ads by tapping on the Ads button at the bottom of the screen before you begin a level. This will involve a one-time payment, of course. If you want to get rid of the ads without shelling out real money, there is one option. You can simply switch your device to airplane mode. Doing so will prevent the game from accessing the ads online. Just keep in mind that this will also turn off your ability to revive if your run ends. It is up to you to choose whether or not it is worth losing the ad offer in exchange for some peace. 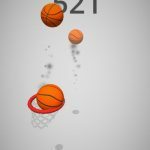 If you have been playing Hoop Smash for a while, you will probably get tired of staring at the same white ball. The game has several ball skins that you can use and unlock without spending real money. Just tap on the ball icon at the bottom of the screen before you begin a game. This will take you to the skin selection screen. What is great about the options is that you don’t just get balls with different designs. You get different shapes as well. Some of the skins include a heart, a donut, a cube, and even a cactus! If a skin is greyed out, that means it has not been unlocked. Tap on it to find out how unlock it. Most of the skins can be unlocked by reaching certain milestones in the game. For example, the donut skin can be unlocked by breaking 8 hoops in a combo. Skins that have FREE written on them means you need to watch a number of videos to unlock them. Just tap to see how many videos you need to watch, then tap on the Ad button that appears on the upper right side. Make sure that you are connected to the internet, though, or the ads won’t play. As we mentioned earlier, the levels will get more difficult as you progress. You will be getting faster discs, and they will be tougher to time. The good news is that each level will play exactly the same way. The disc movements are not random. That means the timing will be the same no matter how many times you replay the same level. This will make it easier for you to master a level eventually. You just need to get a feel for how long you need to wait in order to break through a certain disc. You will be able to retry at the exact same spot each time since that disc will behave the same way when you come back for another shot. Just keep replaying a level until you get used to the timing of each, and you will eventually be able to make it to the bottom. Going through an infinite number of levels is definitely intimidating, but with the help of our Hoop Smash cheats, tips and tricks, you will be breaking through high scores with ease! In case you have additional tips for the game, let us know below in the comments!